Every book club in the area was reading A Man Called Ove last year. 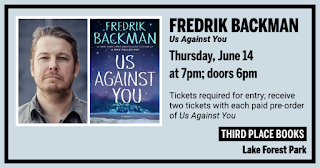 Now the author of Ove, Fredrick Backman, is back in the country, touring with his new book Us Against You. He'll be at Third Place Books in Lake Forest Park on Thursday, June 14, 7pm - doors open 6pm. Tickets are required for entrance. Two tickets per purchase of Us Against You. Town Center, intersection of Bothell and Ballinger Way, Lake Forest Park. 206-366-3333. Two favorite bestselling YA authors together for one magical evening! 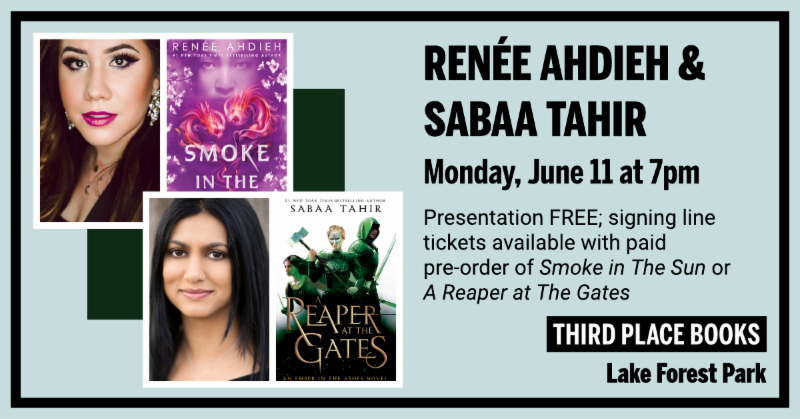 Sabaa Tahir returns to the Martial Empire in A Reaper at the Gates, the third book in her Ember Quartet. 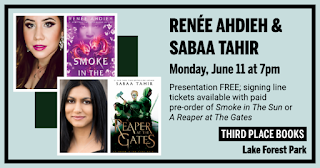 Joining her on our Main Stage is Renée Ahdieh, who concludes her Flame in the Mist duology with the thrilling Smoke in The Sun. Presentation FREE; signing line tickets available with paid online pre-order of either title. 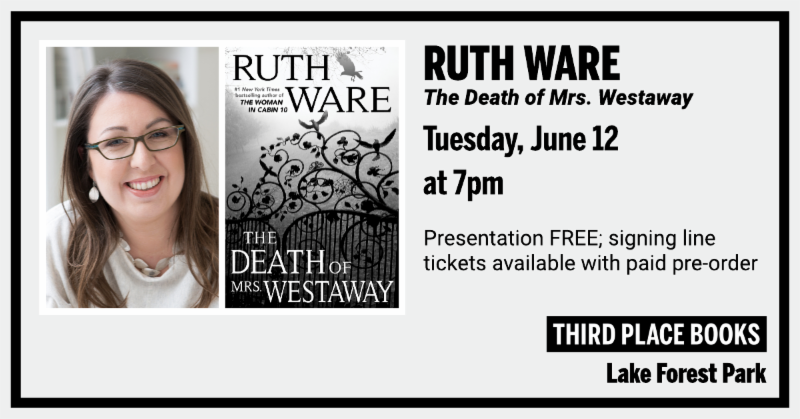 From the #1 New York Times bestselling author of In a Dark, Dark Wood, The Woman in Cabin 10, and The Lying Game comes Ruth Ware's highly anticipated fourth novel. 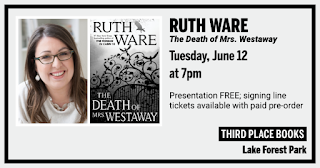 Presentation FREE; signing line ticket with paid online pre-order of The Death of Mrs. Westaway. 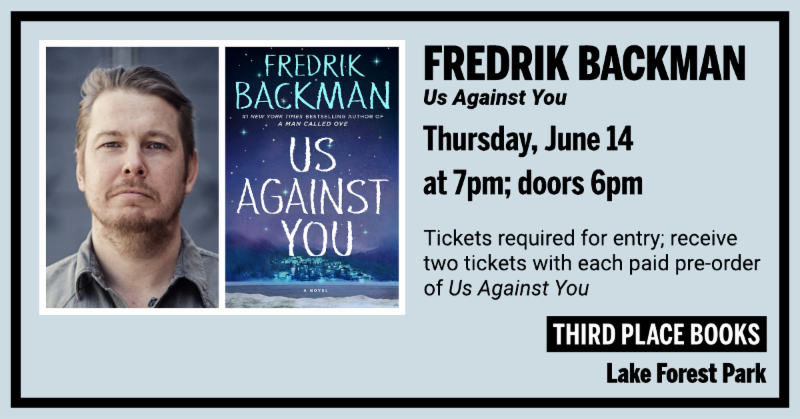 The #1 New York Times bestselling author of A Man Called Ove and Beartown returns to Lake Forest Park with an unforgettable novel “about people — about strength and tribal loyalty and what we unwittingly do when trying to show our boys how to be men” (Jojo Moyes). Doors at 6pm. Tickets required for admission; two tickets per purchase of Us Against You.